The reported amount of high school students who ever used cigarettes decreased by almost half, from 63.3 to 36.9 percent, between 2000 to 2009, according to the 2009 Youth Tobacco Survey data summary compiled by the Hawaii State Department of Health. Members of REAL want that number to just keep going down. “Tobacco-related deaths are the most preventable cause of death on the planet,” said Nicole Sutton, director of REAL and a member that has been involved since the very beginning. REAL Activists in Hawai'i. -- Photo courtesy of The REAL Message. 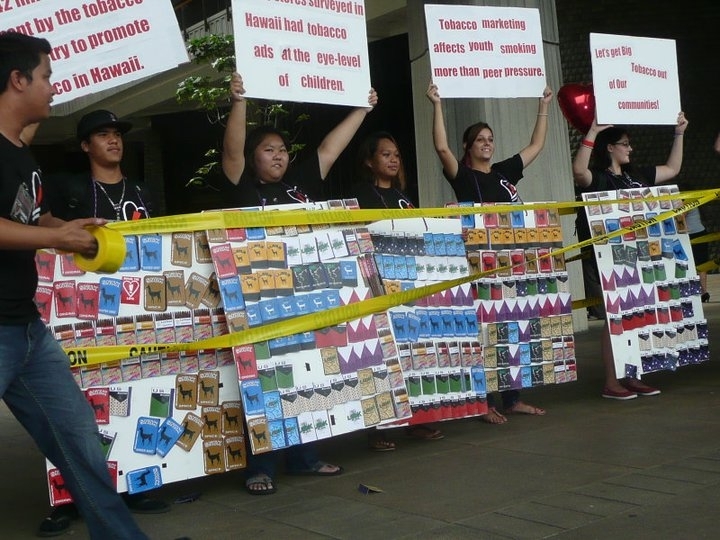 REAL, an anti-tobacco-industry organization, was formed by a group of 15 young people from Hawaii who banded together 12 years ago, sharing a passion for a common cause: to protect the health and lives of many from the adverse effects of tobacco use. Over a decade since it’s conception, the group continues to be entirely youth-led, filled with enthusiastic members ranging between 13 years old and 24 years old from across the Hawaiian islands. During the early years of it’s existence, REAL was financially supported in 2001 with a grant obtained from tobacco settlement dollars. Back in 1998, the Attorneys General of 46 states generated lawsuits against tobacco companies in the United States, and the Tobacco Master Settlement Agreement (MSA) resulted, according to the National Association of Attorneys General (NAAG). The settlement required that a certain amount of funds are allocated to anti-smoking campaigns and preventative and educational measures against tobacco use. In Hawaii, 25 percent of the funds were once given to the Hawaii Tobacco Prevention and Control Trust Fund. Over the years, the amount given to the fund had been cut to 12.5 percent, according to the Hawaii Department of Health. The most recent amount listed in section 328L-2 of the Hawaii Revised Statutes shows that the allocated funds have dwindled down to a meager 6.5 percent. Despite the cuts in funding, REAL continues to be a growing and successful movement. Some REAL members focus on creating campaigns or presentations, organizing events, or other types of community outreach, while others do more hands-on political lobbying. However, all chapters of REAL have a common goal in mind: to educate youth about the facts of tobacco use and to dissuade them from ever trying any sort of tobacco product. Considering the amount that big tobacco companies spend on marketing, it may seem like a rather daunting task. “$33.5 million dollars are spent on tobacco marketing in Hawaii alone,” said Sutton. Over 10 times that amount – $336 million dollars – is spent on health care directly caused by smoking, according to Tobacco Free Kids. Research has shown that tobacco advertising and marketing is the most persuasive method of getting youth to smoke, even moreso than peer pressure, says the REAL website. “We have to counter that influence, save the state a lot of money and protect the lives of everyone here,” stated Sutton. Rather than using health education to deter minors from picking up cigarettes, REAL uses an alternative method of focusing on the advertisements and underlying messages that the tobacco industries project to children as well as adults. “And how their business is really based on addiction and exploiting people, particularly young people,” said Sutton. REAL is known for using an unexpected, indirect way to capture the attention of youth that they are calling “guerilla activism.” They believe anti-tobacco awareness is a matter of getting on the same level as youth, acting in an unconventional way that will resonate with them and capture their attention: a similar method to what tobacco companies use in advertisements to influence young people to try out cigarettes and other methods of tobacco use. Research supports REAL’s unconventional approach, showing that it effectively changes social norms and preserves the youths interest and involvement, said Sutton. “We’re mimicking them, but for good,” noted Layla Fidel, a high school student of Pearl City High School and another member on the leadership board. 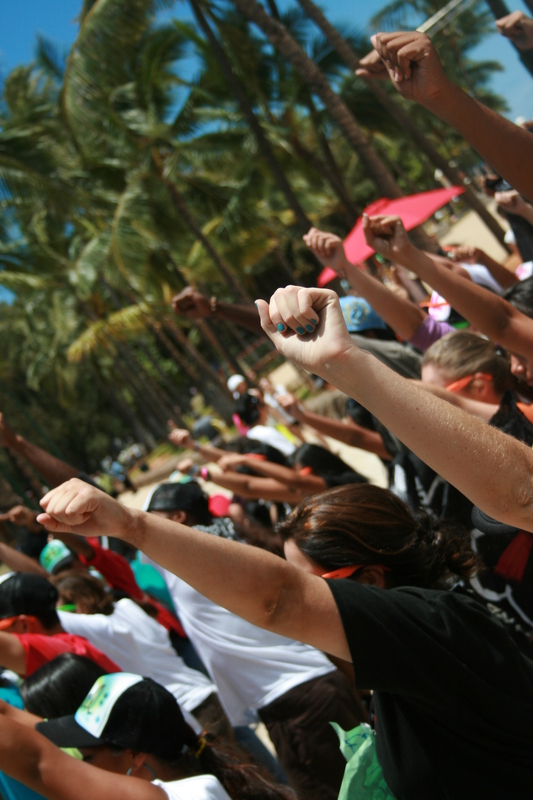 In the past, the movement has held flash mobs in Waikiki with an underlying anti-tobacco message. They also organized a zombie crawl for Halloween at UH Manoa last year, where students dressed up as the living dead to catch bystanders’ eyes and ears, according to Makeda Morris, a McKinley High School student and member of the REAL leadership board. The message that was projected during this movement was that recent studies have discovered that Hollywood movies have become a powerful recruiter of first-time smokers. Affiliating with performers has been a successful way of reaching out to the youth in Hawaii. Alaka’i Kotrys, a spoken word artist, and Deejay Betty are artists who have supported the message across the years. Currently, a hip-hop dance group called Shell Shock is proud to be allied with the efforts of REAL. “We kind of fight fire with fire,” said Grady Sullivan, a member of the dance group Shell Shock. Instead of getting the message across through words, Shell Shock uses hip-hop culture to reach out, connect with and empower the youth of Hawaii, said Sullivan. Hawaii Academy of Arts and Science, Konawaena School, Pahoa High School, Keaau High School, and Hilo High School are past venues Shell Shock has performed at, perpetuating The REAL Message and getting kids excited to participate. The Big Island based dance group has performed for audiences ranging from small community events with about 20 people to whole grades of about 100 kids and even for hundreds of people at the biggest events. He hopes to have the opportunity to perform for college students in the future. Shell Shock decided to join the cause when another member, Babatunji Johnson, introduced the idea to them. Sullivan thought it was for a good cause, as he has always been an advocate of healthy lifestyles. The adverse health effects of tobacco use hit Sullivan personally, he mentions; his grandfather, a tobacco smoker, was afflicted with lung disease and died as a result. Sullivan had never met him. 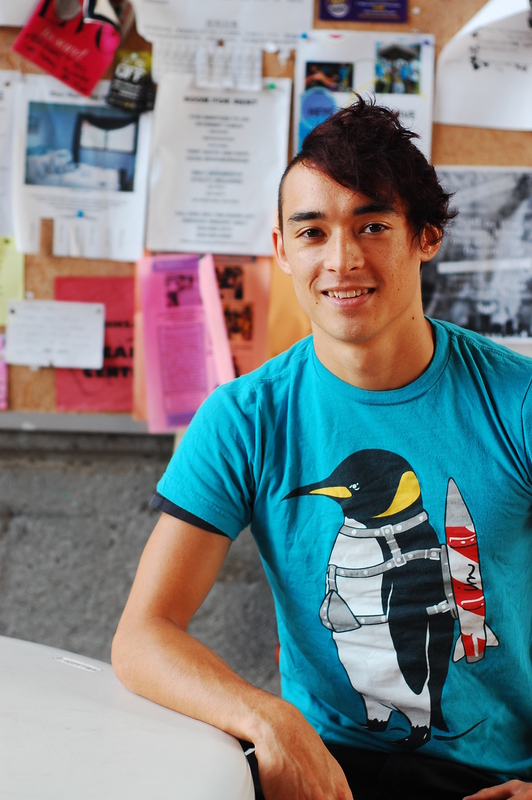 Although Sullivan occasionally writes testimonies and signs petitions, community outreach through teaching dance and performing are the main ways the Performing Arts major at the University of Hawaii at Hilo promotes The REAL Message. “I just hope they learn and take in that the tobacco industries are targeting the youth, and they are using our common culture, hip hop culture, and hip hop dance and self-expression as a means to get the youth to start using their products. I think as long as they are knowledgeable of that, then no youth can join in and fight for [the tobacco industry’s] cause,” said Sullivan. In addition to educating and performing community outreach, REAL members based in Honolulu visit the state Capitol weekly to lobby for bills and support policies concerning tobacco prevention. Currently, REAL is involved with getting Senate Bill 2425 passed, a bill that would require vendors to keep all tobacco products, including smokeless tobacco, behind the counter and limit tobacco-related advertisements in stores. With the smokeless tobacco products behind the counter, it would reduce the accessibility of the products drastically. At this point, teens can slip the products into their pockets and walk out undetected fairly easily. One of the testimonies for Senate Bill 2425 was submitted by Stephanie Franklin, Maui’s Island Coordinator for REAL. Youth begin using tobacco, and years down the line, they begin accumulating negative impacts on their health, and, the state ends up facing the consequences of healthcare costs, she says in the testimony. Kick Butts Day, a day designated for major political activism and involvement, is coming up in a few weeks on March 6. Kick Butts Day encourages communities all over the globe to speak out and take political action against tobacco companies. In previous years REAL has rallied at the state Capitol with over 100 other young participants. Members take part in legislative advocacy training and learn which bills are relevant to tobacco prevention in Hawaii, especially relating to product placement and advertising. Afterwards, they visit the legislators for their area and ask for their support. While REAL continually creates and initiates new campaigns, perhaps what works best is simply word-of-mouth. Friends and peers tend to have the most credibility and pull, said Sutton. “Every little thing we do can make a difference,” said Morris. Although REAL is anti-tobacco, REAL has ex-smoking members as well as current smokers who are trying to quit. “We don’t alienate them. To us, the user is not the issue. 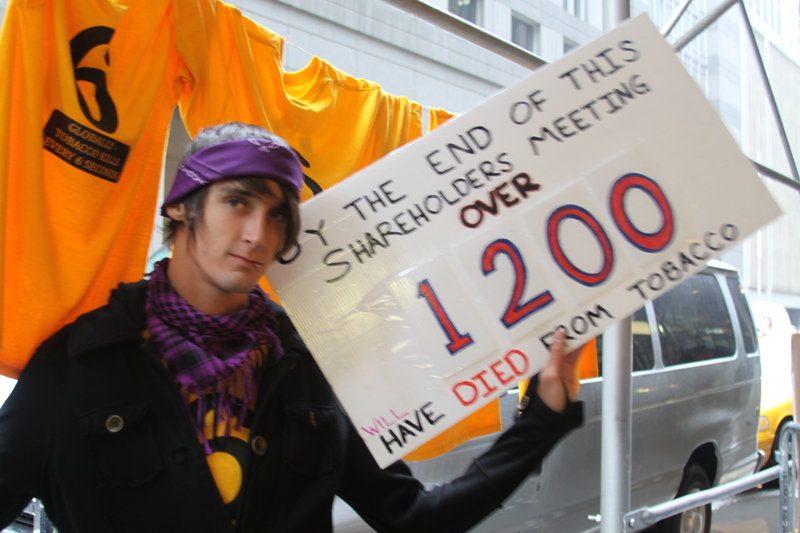 What is the issue is the companies that continue to push,” said Sutton. 13 year olds to 24 year olds interested in joining and volunteering for The REAL Message are encouraged get in touch and visit the website at therealmessage.net.